For those who have taken up the task of caring for an elderly person, whether as a career or for a loved one needing care, you may have run into some challenges. One common challenge is how to really care for that person while still respecting the life they had before they needed your care. You may have to battle with what you think is best for their care versus what they think is best for themselves. Through this battle, it is important to remember that those you are caring for still have a voice. We must hear that voice. They still need choices, to feel listened to, and respected. 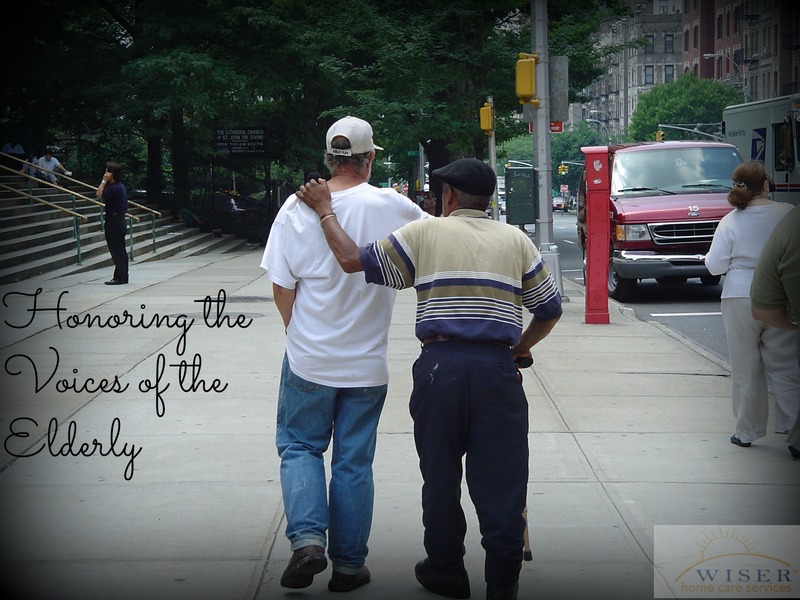 As caregivers, how can we listen, really listen, to the needs of our clients or loved ones? The best way is to think of things from their point of view. How would you feel if the roles were reversed and you found yourself needing care? Do not assume you know what is best for me. Remember that I am an adult,not a child. Allow me to have my own schedule, not yours. Remember this is my home. Please remember I have lived a full life and help me live the rest of it with as much joy and dignity as possible. Focus on me and not my disease or disability. Respect my right to grieve the independence I’ve lost. Assist me, do not just take over and do it for me. Please respect my input in how it should be done. Sometimes when we focus on the task of caring for someone we forget that we are in fact dealing with a person. We forget that our care is about their life, not just a job to be done. I hope all of us as caregivers and family members remember these words each day as we continue to give care to those who need our help. While caring for them, lets also try to live by what Tia Walker said above. Caring for another is an honor. So, how can you best honor those that you care for?